When starting out make sure you research the market you will supply before commencing a business, from both a customer and supplier aspect! 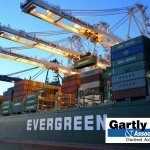 Supplying goods from overseas can be a strategic business, especially if you are importing products not available in Australia, but take care as it requires careful planning. There are various requirements about bringing goods into Australia. These can range from goods that just require duty etc to those that are restricted or prohibited. Other products such as chemicals, paints, solvents etc. need to be registered with the National Industrial Chemicals Notification Assessment Scheme. (NICNAIS) there will also be fees associated with registration. A customs agent understands the complications of ensuring your goods proceed through customs and the customs duty and gst that is paid upon landing. Duty and GST are usually determined by the value of the goods imported traditionally based on the purchase price. If the parties are related parties then transfer pricing rules and market value substitution may apply. 1. Do you have the exclusive rights to bring the product into Australia? 2. What warranties does the wholesaler offer if the site is subject to a warranty claim in Australia? 3. What turn around time from overseas walk to you? 4. Is deliver air or sea? 5. Can you fill a container to ensure you maximise freight value? 6. Exchange differences can make or break on gross margin – consider trade finance to even out any exchange variations of the AU $ vs Euro or US$? 7. Language can hamper communication and lead to incorrect product or delays in delivery? Clients who import goods for their business have had mixed experiences. The following are some issues that we have identified as causing frustration, loss of business and sometimes sizeable financial outlay.  The initial first delivery of goods manufactured is of high quality then the product quality drops off in subsequent production runs!  The variety of measurements are slightly incorrect leading to not being suitable for what they were intended!  Promised goods but then not delivered or the wrong product delivered!  Products held up at the port due to customs or union disputes!  Products provided to the wrong country/destination!  Products arriving broken and denied responsibility – eg cane furniture!  Goods lost at sea!  Products being delayed beyond your control and a retail seasons missed due to this delay!  The overseas manufacturer took your design and sold to others! – Have someone you can trust on the ground to make sure everything goes okay. Do your homework on your supplier and make sure you have contingencies in place. Don’t entirely rely on overseas suppliers, source local ones as well and keep sufficient stock on hand to keep customers happy.